Fruits and Vegetables are Good for You! Both fruits and vegetables are naturally low in calories. They are rich in vitamins and minerals and may even help lower the risk of many diseases, including heart disease, high blood pressure, and some cancers! 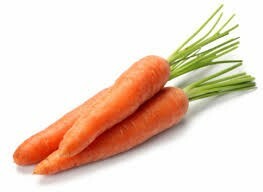 Carrots are rich in Vitamin K, potassium, and Vitamin C! They help maintain healthy skin and eyes. They also increase saliva production, which aids in digestion. Apples are a good source of fiber and Vitamin C! They can decrease risk of diabetes, reduce cholesterol, and prevent gallstones. 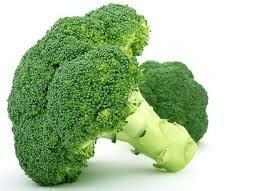 Broccoli has tons of Vitamin B6, E, and and A! They aid in bone health, detoxification, and can even reduce an allergy reaction and inflammation. Healthy Foods with Fruits and Vegetables!! There are many different ways you can eat fruits and vegetables besides just raw! Check out these other foods that are more fun, but also still contain the good vitamins and minerals! 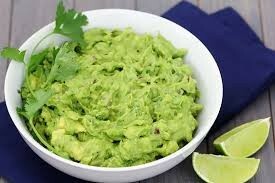 Made with avocado and peppers! 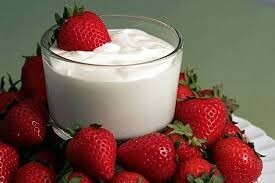 Any fruit dipped in nonfat yogurt tastes good, and also has added calcium from the yogurt! This snack contains celery with added protein from peanut butter and raisins!